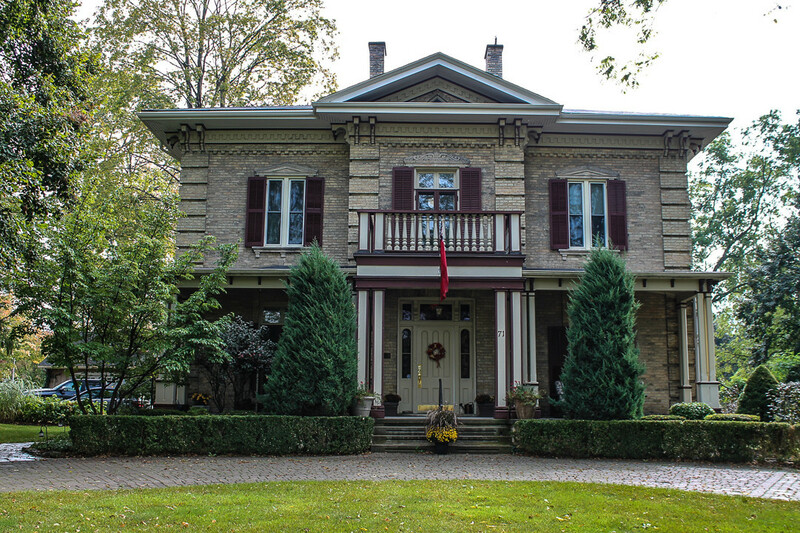 Built in 1867 this Bed and Breakfast is located just outside of Goderich, Ontario and will leave you speechless. Rooms with 14ft ceilings and antiques scattered throughout the house makes Kildonan House the talk of the town. Delicious breakfast prepared by your hosts Bob & Janice Clark. The breakfast is prepared when you are ready to eat. Kildonan House tries to buy as much local items as possible! Special requests are available with notice. Located just 10 minutes from Lake Huron makes this a great destination. Our local communities always have events going on from: Farmers Markets, Cowbell Brewery, Blyth Theatre and more. You will not leave disappointed! See What Our Visitors Are Saying? The 12-foot ceilings, splendid antiques and mellow surroundings of this stately 1867 home are redolent of a quieter, gentler place in time, all with the requisite modern conveniences. I would have loved to spend longer than the one night I had at this lovely, quiet place in a lovely, quiet little village. The house is beautiful, with gorgeous wood floors, gracious public rooms. My room was perfect, clean, comfortable, pretty. The breakfast was delicious; the hosts welcoming and accommodating. The pool was a super place to hang out in and cool off on a very hot day. Experience a Grand Old Home! Approaching the circular driveway to Kildonan House was a breathtaking experience. With stunning curb appeal and lush gardens, it is a sight to behold. Everything outside and in is reminiscent of an era when formality and etiquette was the norm. Our hostess gave us a tour of the rooms decorated with period antiques and accessories. Absolutely stunning! My girl friend and I stayed in the servants quarters where there were two twin beds and a private bathroom. It was quiet, clean and comfortable. Breakfast in the dining room was tasty and our hosts were friendly. I have stayed at Kildonan House many times over the previous two years. The house and setting are spectacular - huge rooms with lovely antique furniture, delightfully comfortable and quiet. New owners Bob and Janice Clark are continuing the Logels' superb hospitality. Looking forward to my next visit. Timeless Elegance Kildonan House is a majestic residence built in 1867. We thoroughly enjoyed this B&B for our getaway to the Clinton, Blyth, Bayfield, Seaforth area. This B&B is 35 minutes from Stratford home of the famous Stratford Festival. There are several bedrooms - all beautiful and comfortable. The outdoors and indoors are all elegant. Breakfast was delicious. Located in the vibrant Clinton, Ontario. This very nice century home established in 1876. It boasts a spacious terrace with barbeque facilities, saltwater pool.